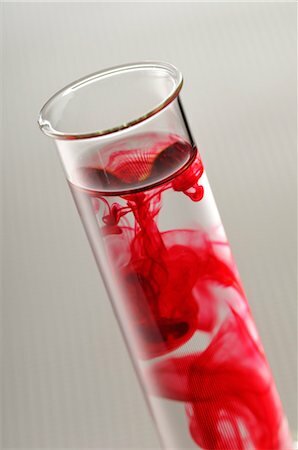 Blood samples. 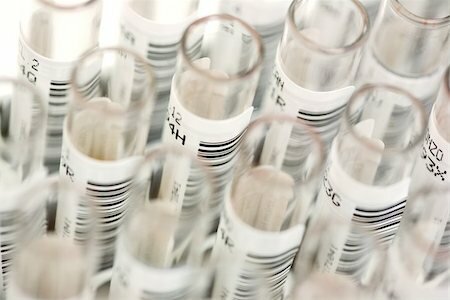 Barcoded test tubes containing blood samples. 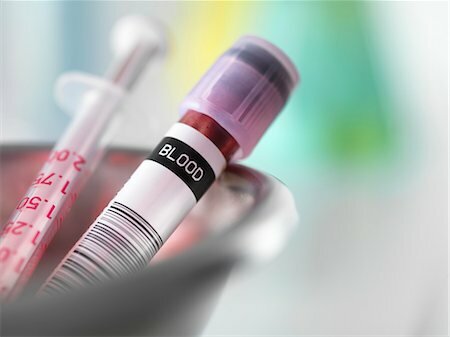 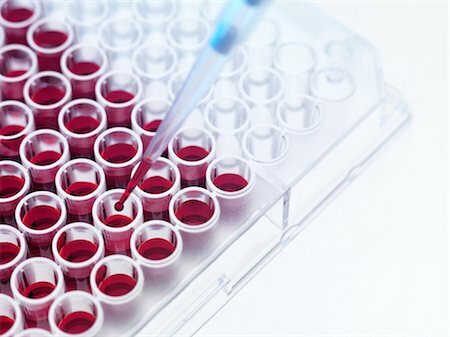 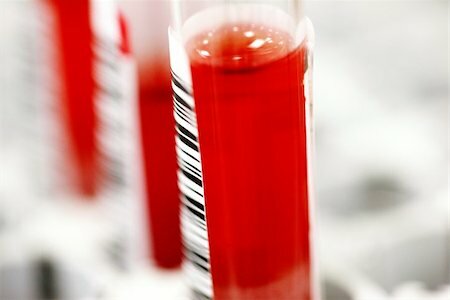 Blood research. 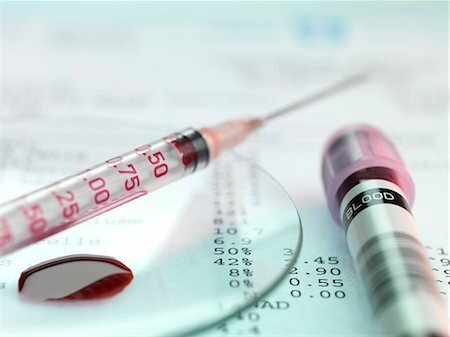 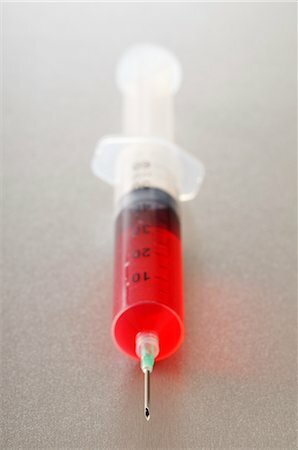 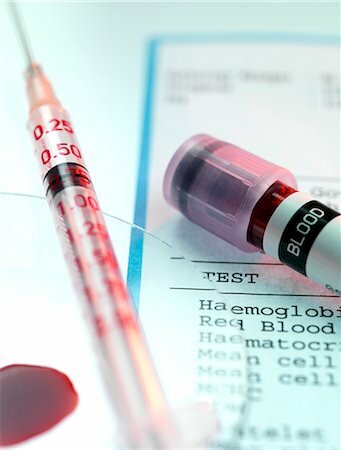 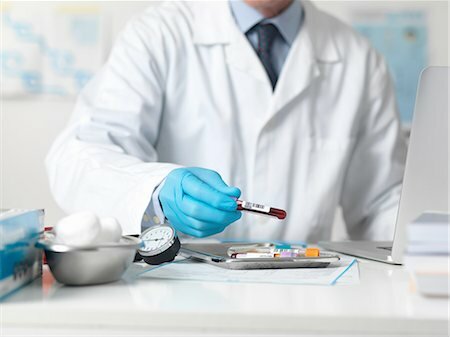 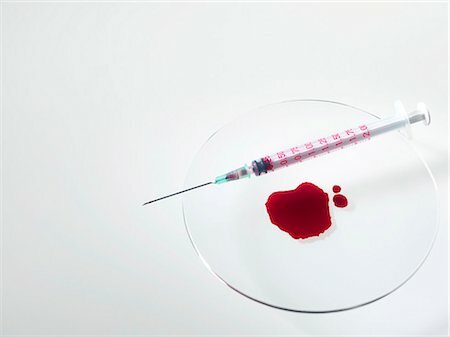 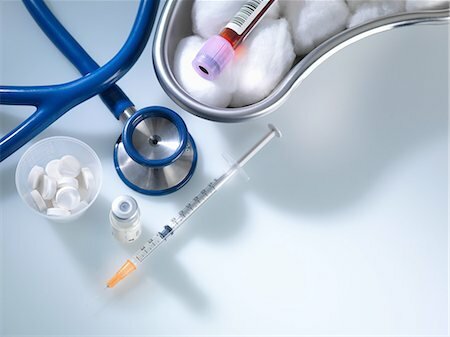 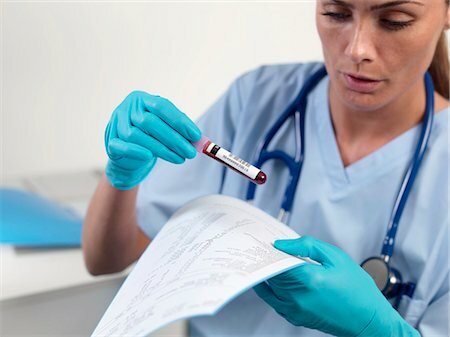 Researcher holding a vacutainer tube above a pool of blood in a watch glass and a syringe. 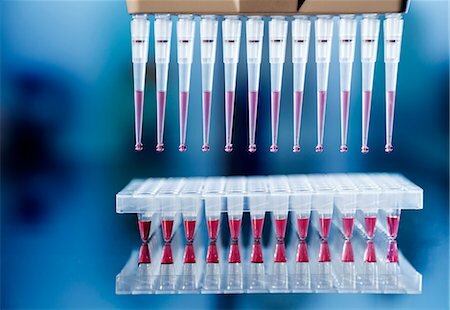 The yellow tray contains more vacutainers. 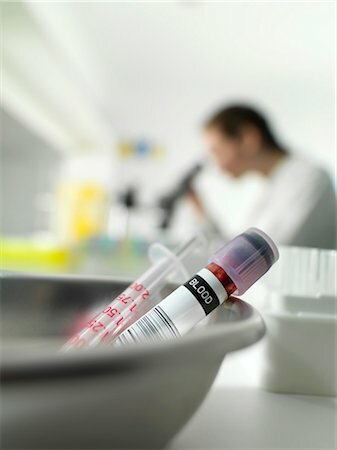 Blood research. 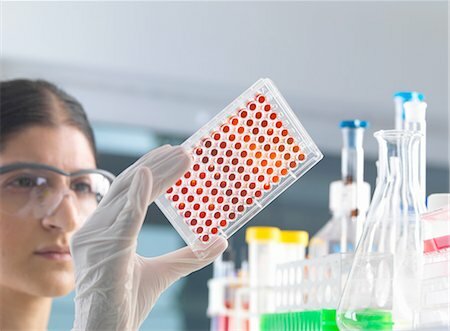 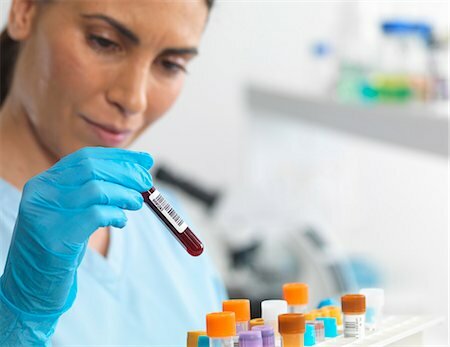 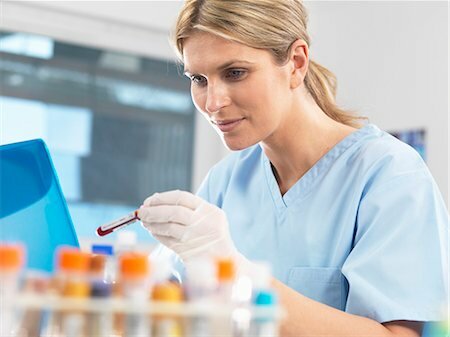 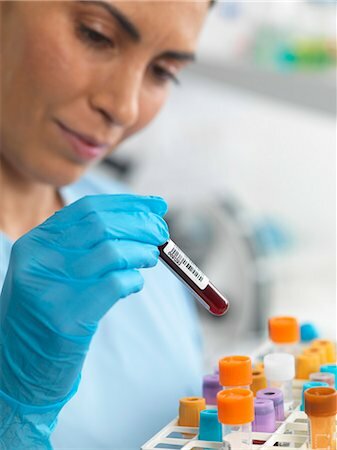 Researcher holding a vacutainer tube in front of a tray (yellow) containing more vacutainers. 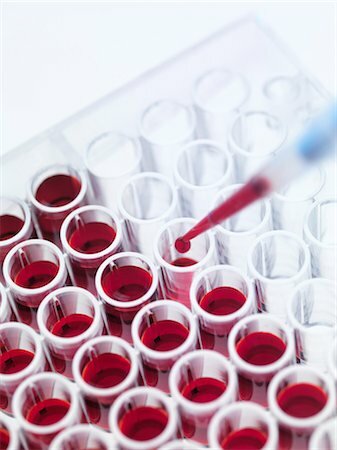 Blood research. 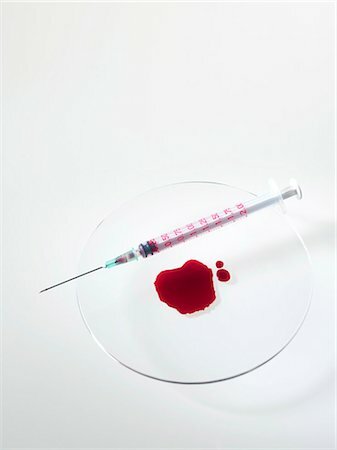 Pool of blood in a watch glass, with a syringe. 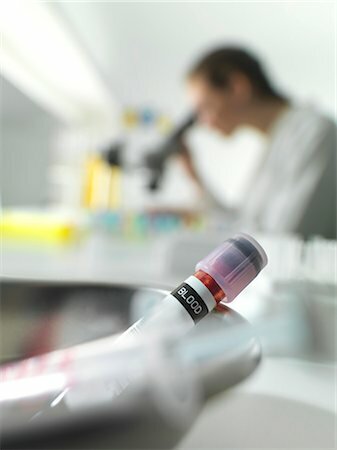 Blood research. 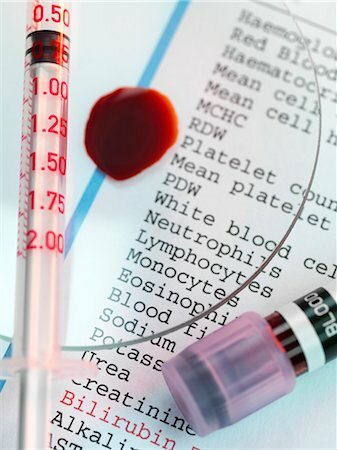 Researcher holding a vacutainer tube above a pool of blood in a watch glass and a syringe. 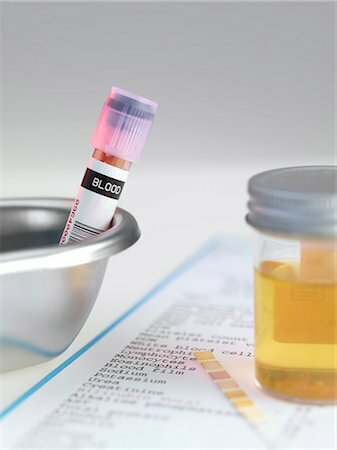 Human medical samples including blood and urine in a kidney shaped bowl. 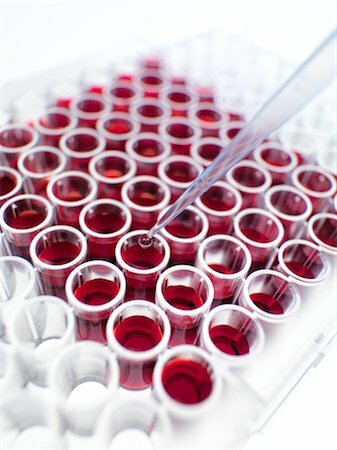 Blood research. 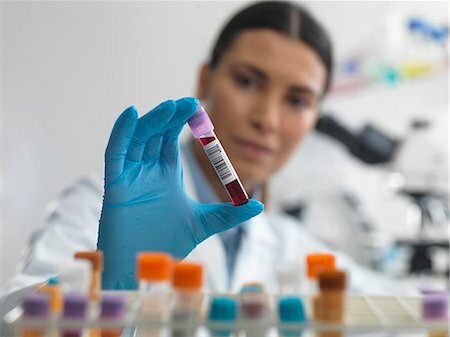 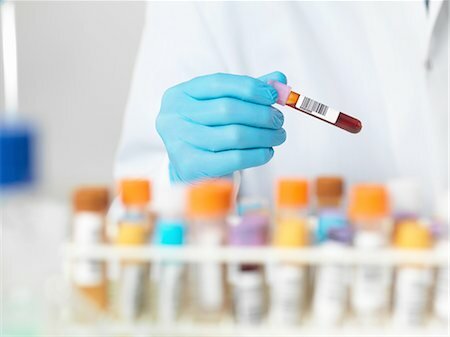 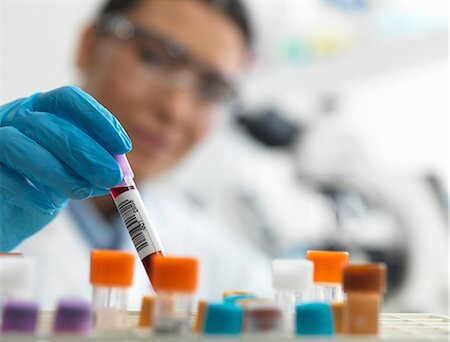 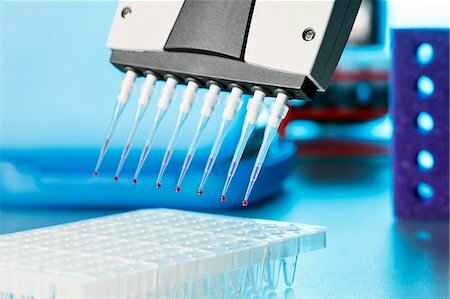 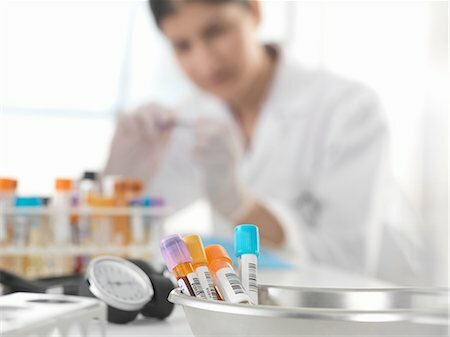 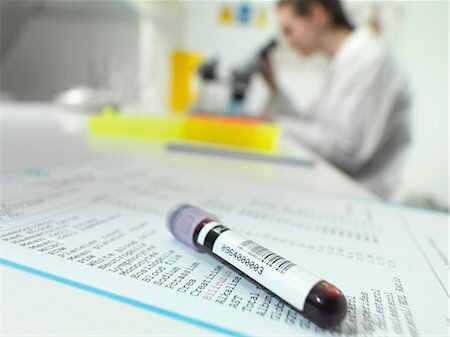 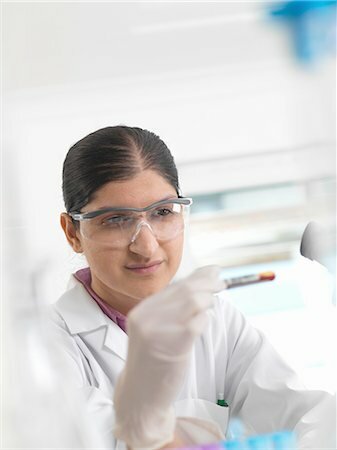 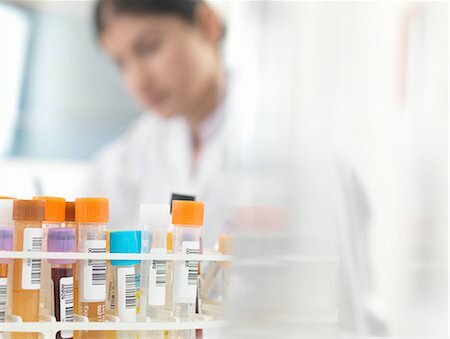 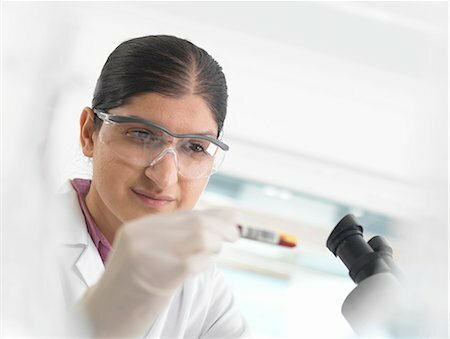 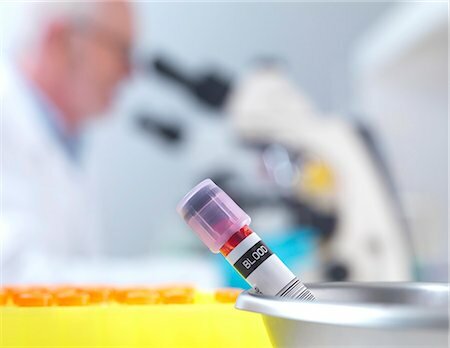 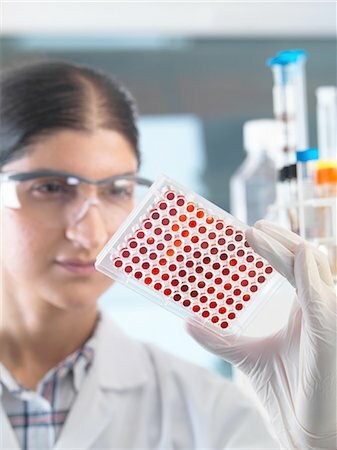 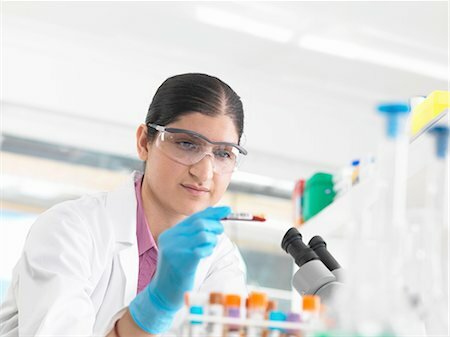 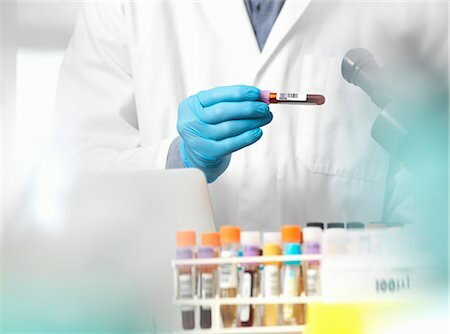 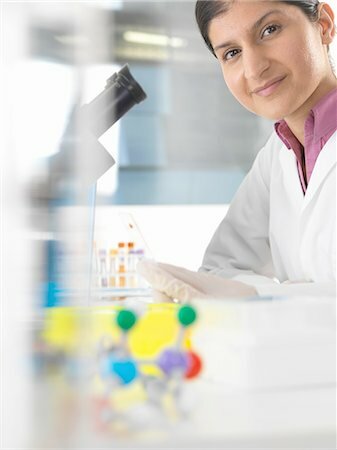 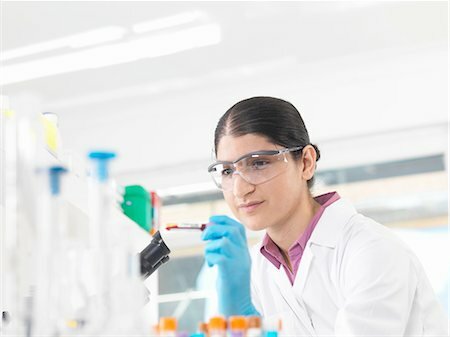 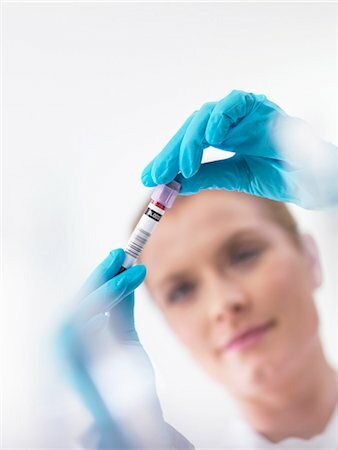 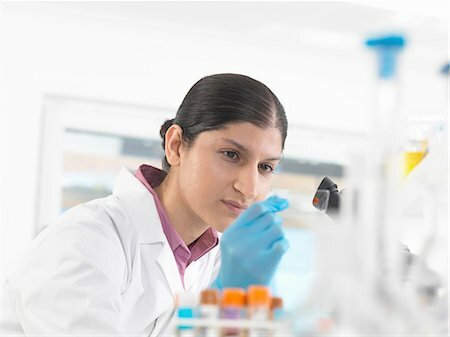 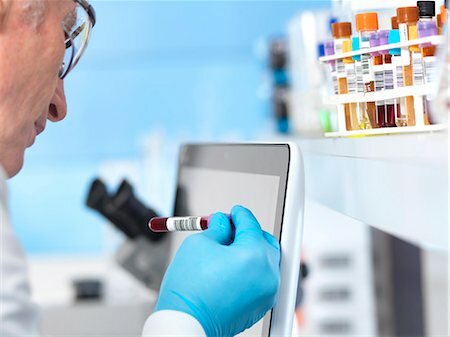 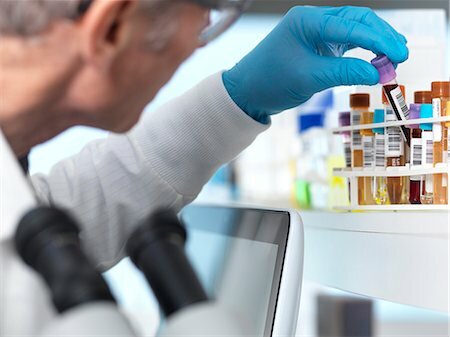 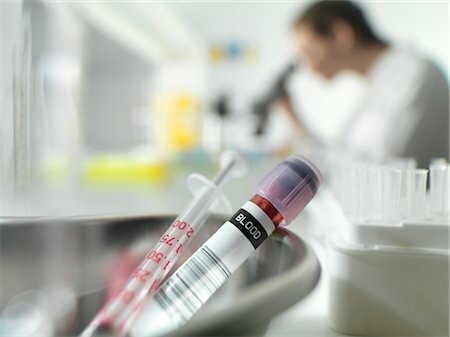 Researcher holding a vacutainer tube in front of a tray (yellow, blurred) containing more vacutainers. 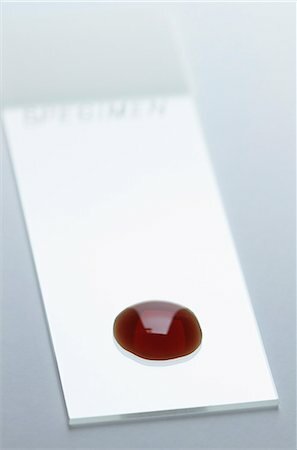 Blood samples. 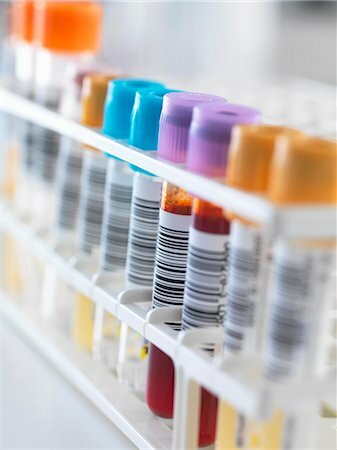 Vacutainer tubes containing blood samples, and labelled with bar-codes. 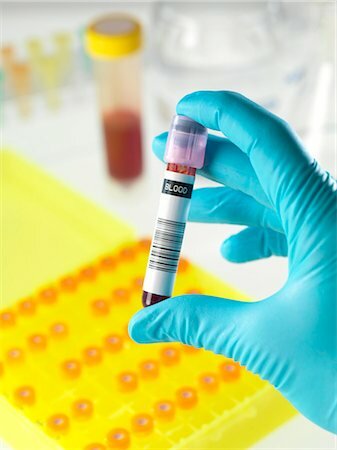 The colour-coded vacutainer caps indicate the contents of the tube. 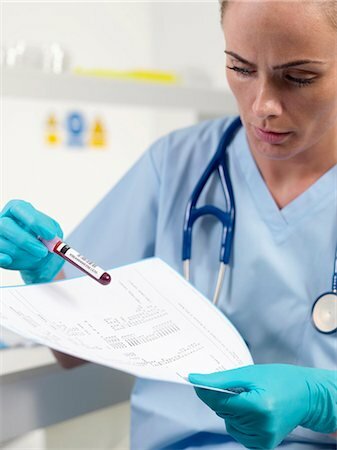 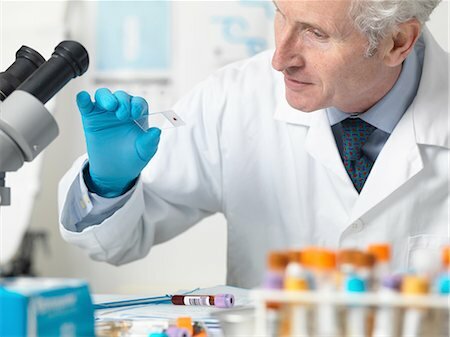 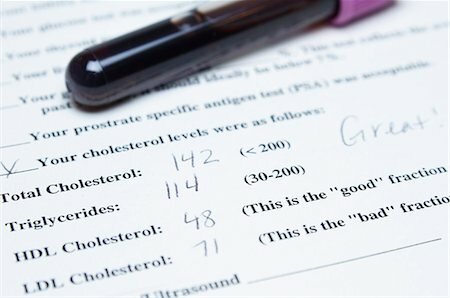 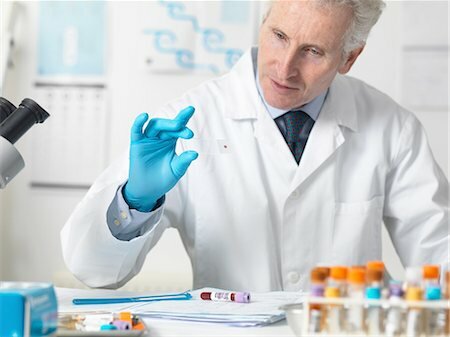 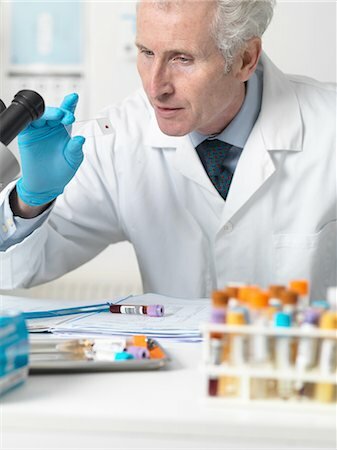 Doctor reading the results of a blood test while holding a blood sample. 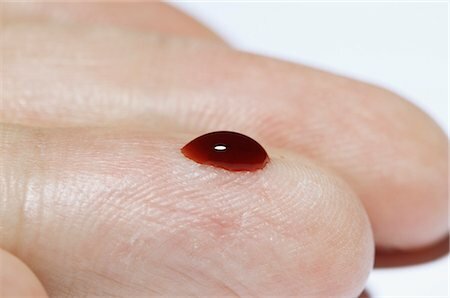 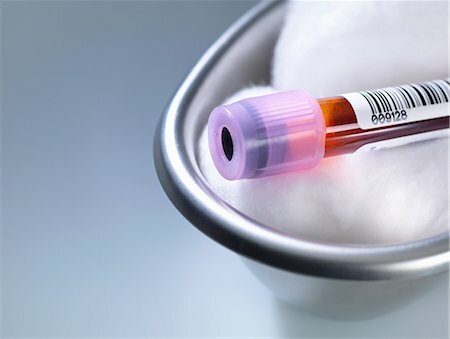 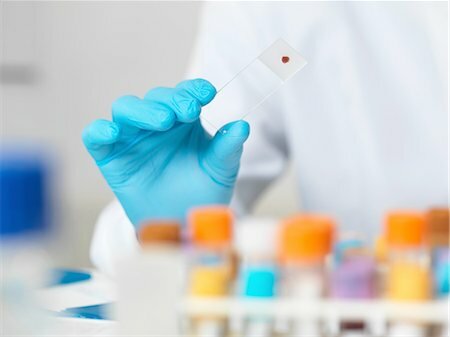 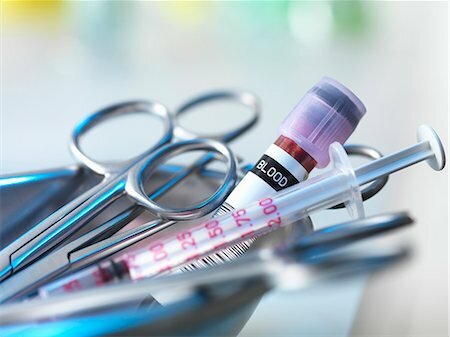 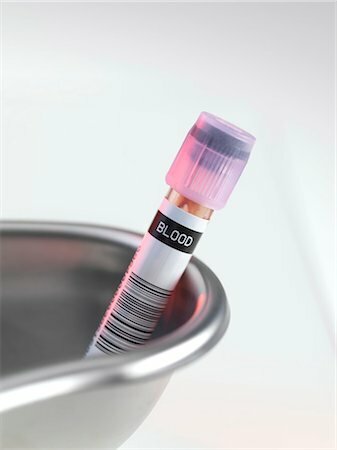 Blood sample in a kidney dish. 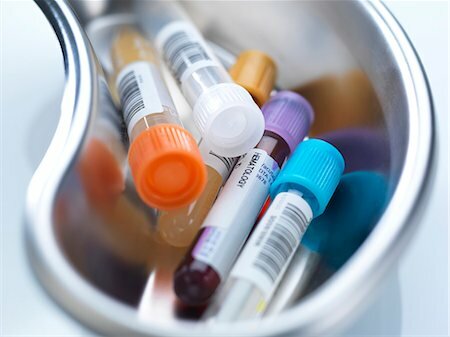 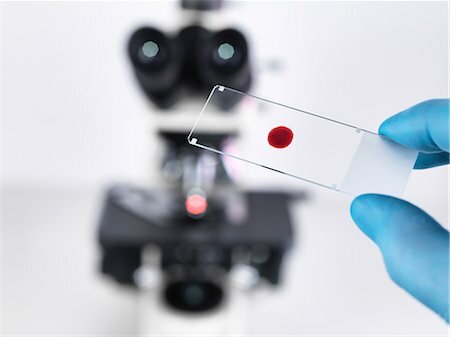 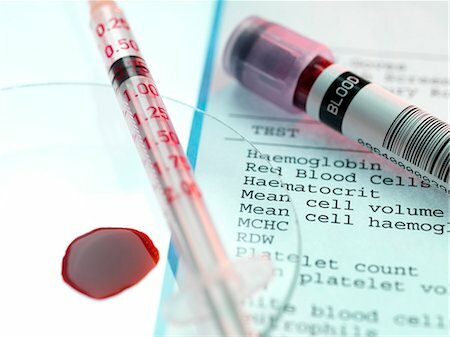 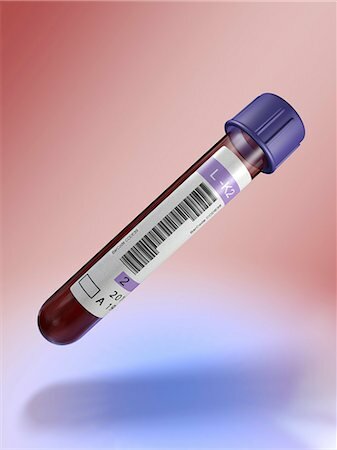 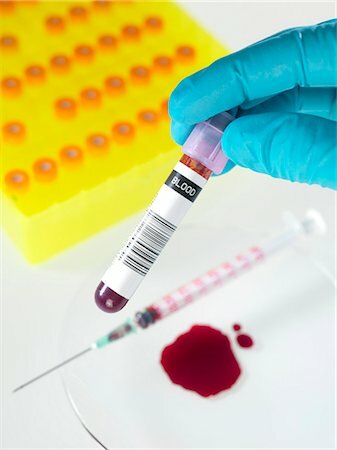 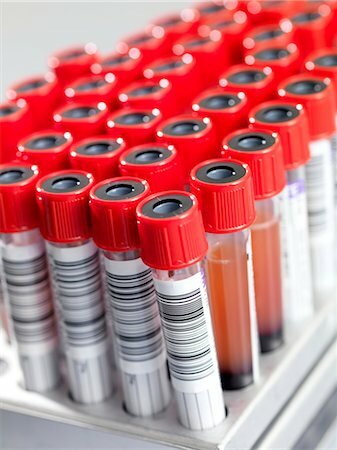 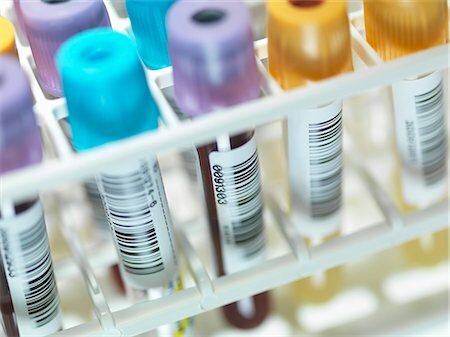 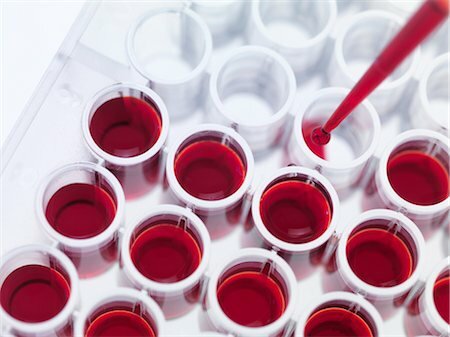 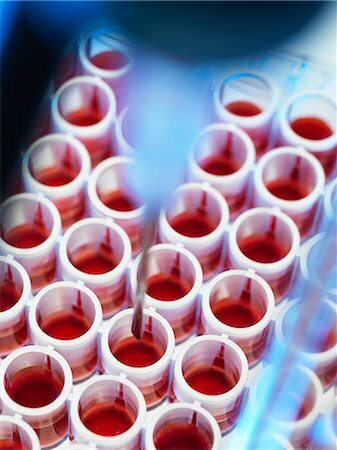 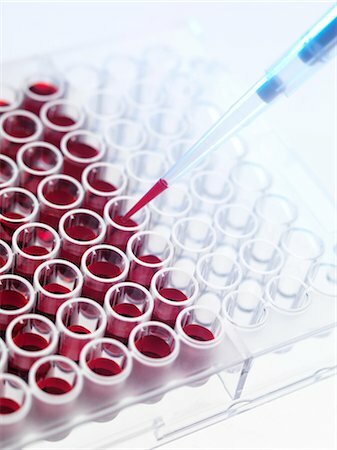 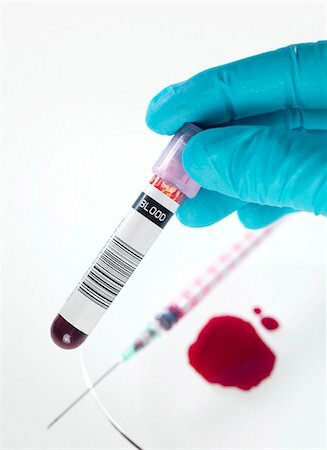 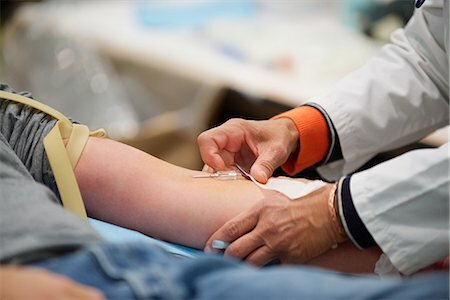 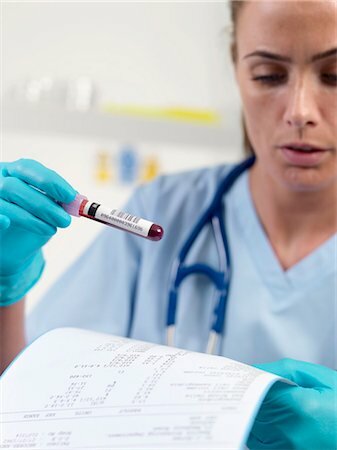 The vacutainer is barcoded so that the sample can be easily identified throughout its analysis. 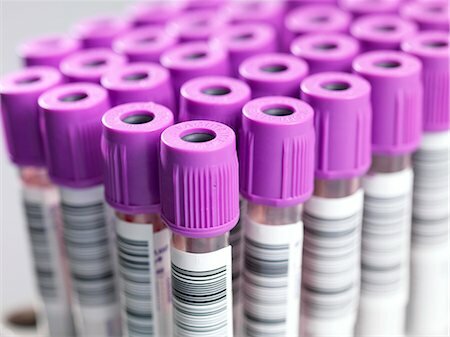 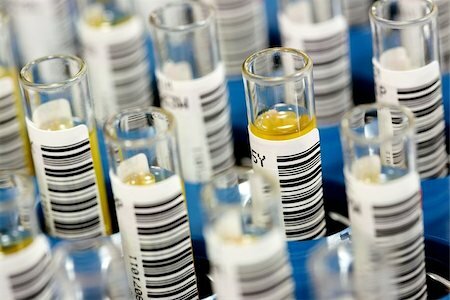 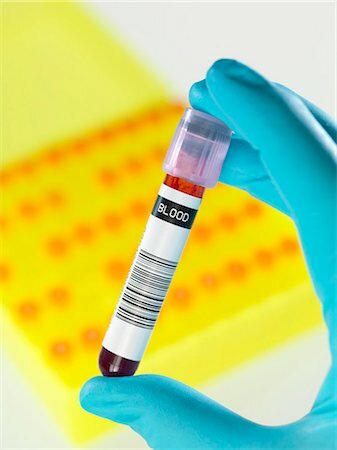 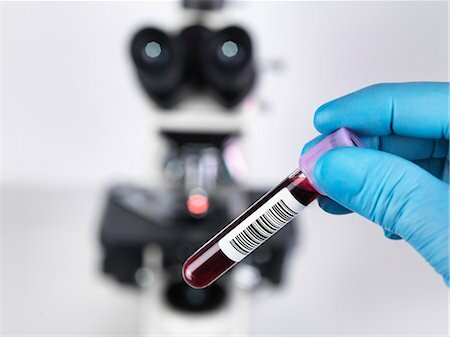 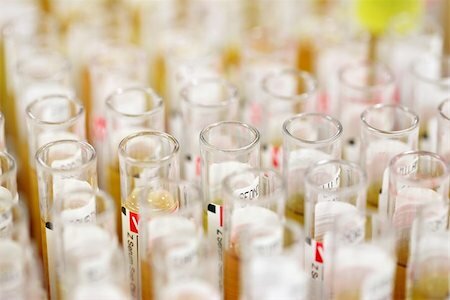 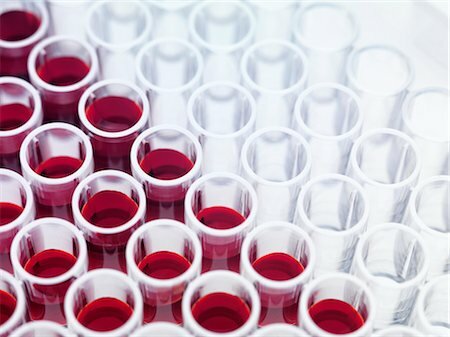 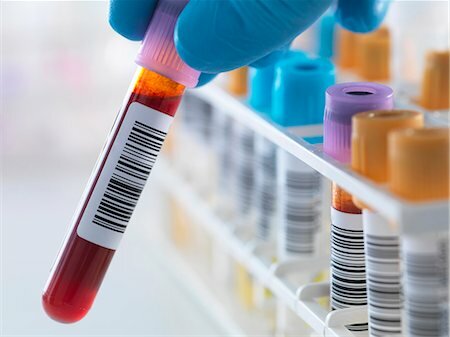 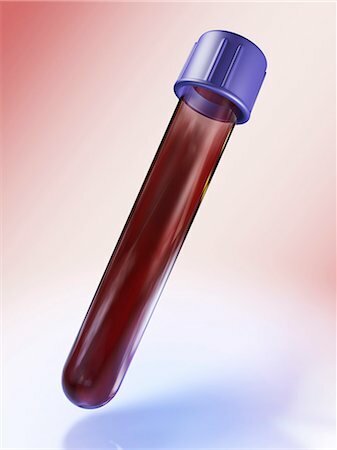 Blood sample in a barcoded test tube. 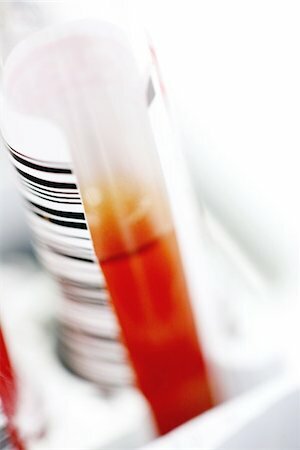 Blood samples. 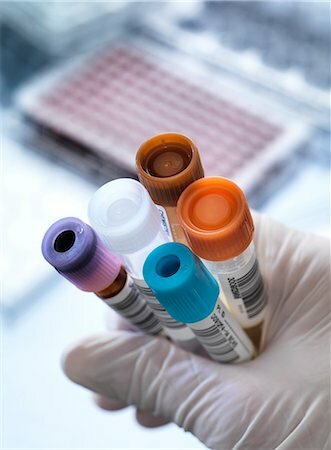 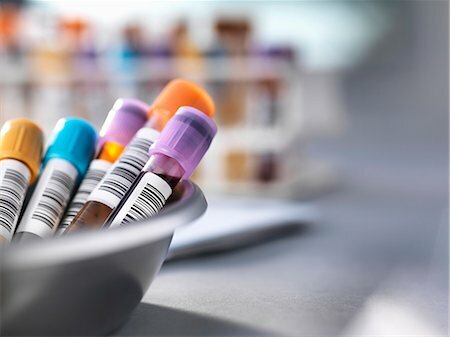 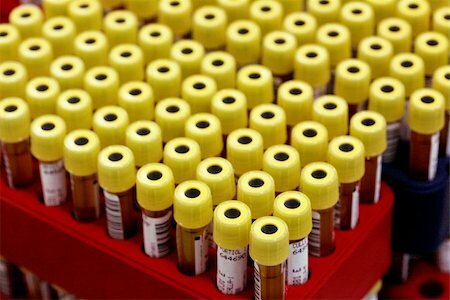 Barcoded vacutainer tubes containing blood samples. 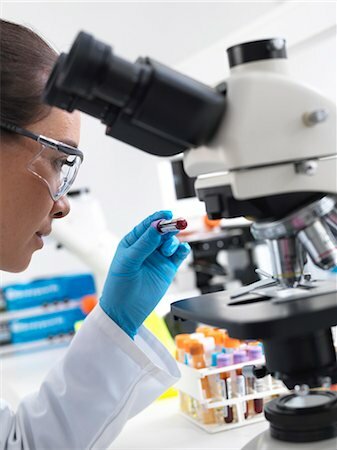 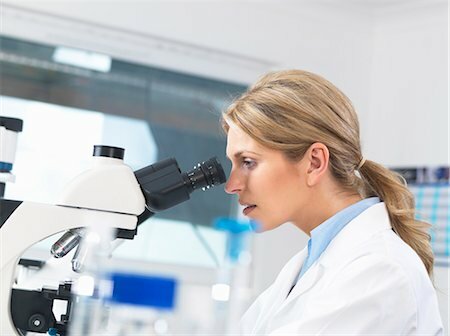 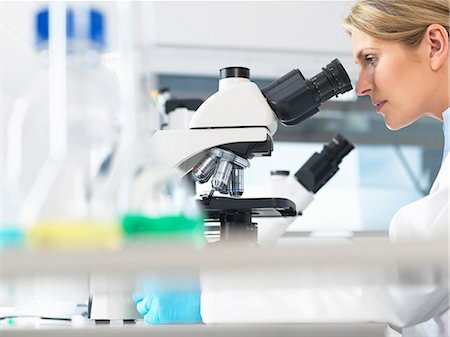 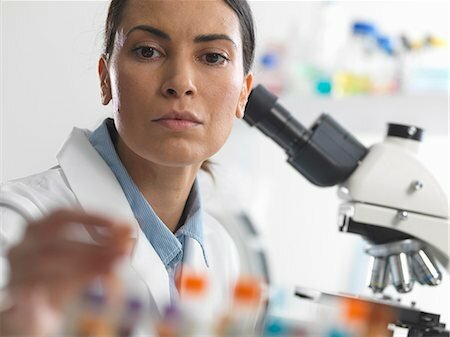 Scientist preparing to view a blood sample under a microscope in laboratory for medical testing.